Nokia sells the highest number of cell phones (regular & smart combined) in the world and has a faithful fan base worldwide who swears by its superb quality hardware and easy to use functions. Nokia launched its new “Entertainment Smartphone” N8 recently and promised that the product will start reaching in consumers’ hands in October. To fans’ surprise, the N8 is shipping a couple of days early and a lot of customers who pre-ordered it online, will start receiving their sets before any one else very soon. Nokia announced that huge shipments carrying the device have left factories in Finland and China and will be available for customers all over the world within the next couple of days. With the N8, and the new Symbian software, we are bringing a familiar, faster and more intuitive user experience to the world’s most popular smartphone platform. 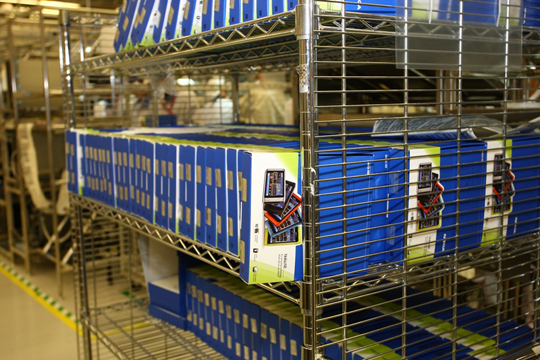 The Nokia N8 has received the highest amount of consumer pre-orders in Nokia history and we are thrilled to start shipments of the N8, the first of Nokia’s new Symbian smartphone range. 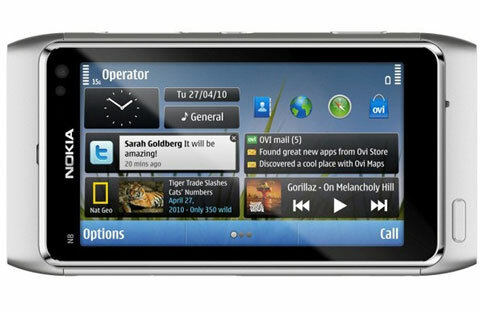 The N8 is the first of a series of smartphones based on the new Symbian software and supports multitasking and switching between multiple apps. It’s fast and easy to use and has the world’s best camera according to Nokia. It lets you take the highest quality photos and shoot HD-quality videos in supreme clarity with the 12 megapixel camera with Carl Zeiss optics. You can edit photos and videos on-screen and choose from multiple ways to share them; transfer large files to an external hard-drive with USB-on-the-go or upload photos to social networks like Facebook, Twitter or RenRen straight from the homescreen. All this is delivered in a robust aluminium body in a range of vibrant colours with a real-glass 3.5″ AMOLED display. The Nokia N8 has been dubbed the best entertainment smartphone by the company as it has WebTV apps from channels like E!Entertainment, National Geographic and CNN and an intuitive music player. You can plug the device to the home entertainment centre to watch HD-quality videos from the big screen with full Dolby Digital Plus Surround Sound. The latest version of Ovi Store, available first on the Nokia N8, gives easy access to more apps – from social networking services like Foursquare to games like Need for Speed Shift or productivity apps like Tesco in the UK. Like other Nokia smartphones, the Nokia N8 comes with free Ovi Maps walk & drive navigation in more than 70 countries worldwide, with no hidden costs. The latest beta release of Ovi Maps is also available for download from Nokia Beta Labs for the Nokia N8. It features visibility to public transport in 85 cities around the world, as well as real-time traffic, safety camera alerts, visibility to parking and petrol stations, and speed limit warnings. The features are no doubt impressive and the N8 is sure to sell like hot cakes with Nokia fans worldwide. Would you buy the Nokia N8?